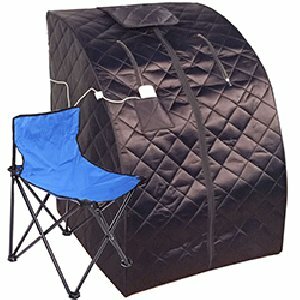 There's no better way to relax after a long day than by spending time in a sauna; and all the better if you can do so in the comfort of your own home. 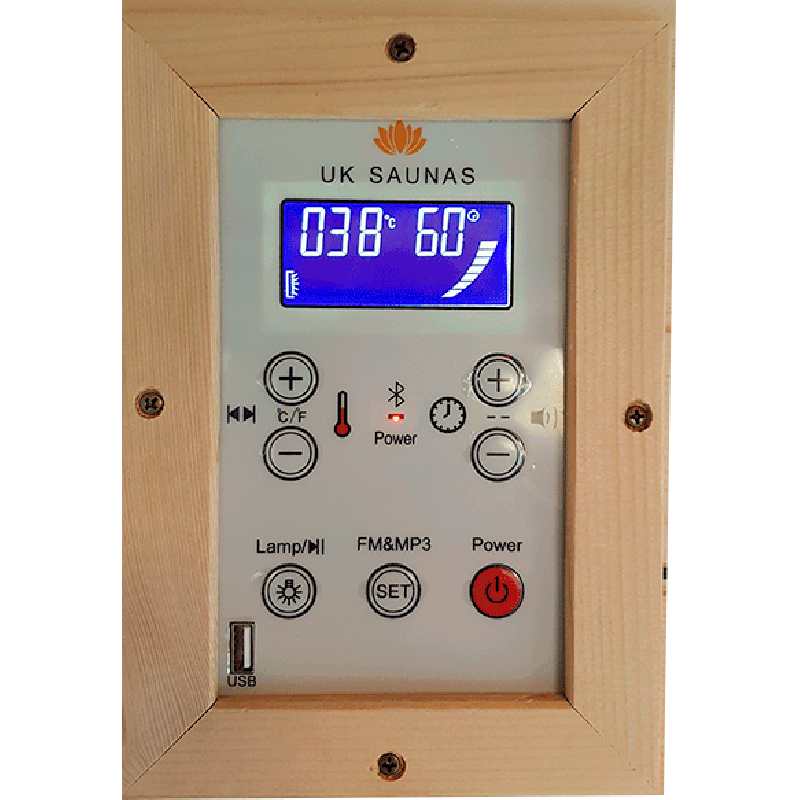 At UK Saunas we specialise in the manufacture and supply of infrared saunas for the home. 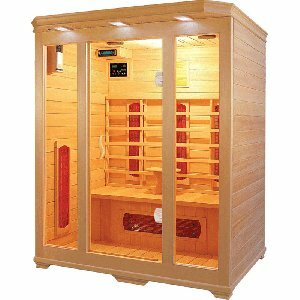 All of our indoor infrared saunas can be powered using a standard three pin plug socket, making them economical to run. 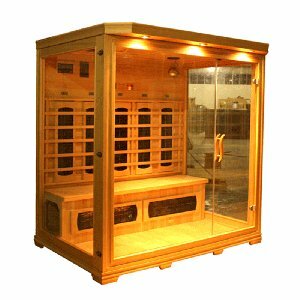 Taking regular saunas has a number of benefits to your health and wellbeing, and is effective is easing the symptoms of conditions such as arthritis, cardiovascular disease, and skin conditions like eczema. 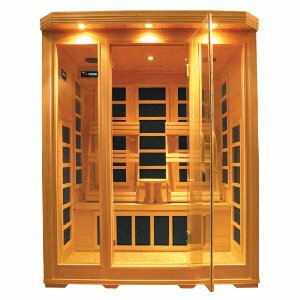 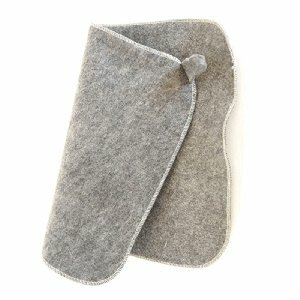 The rise in body temperature experienced in a sauna boosts your circulation and increases perspiration, aiding your body's natural detoxification process and improving your immune system. 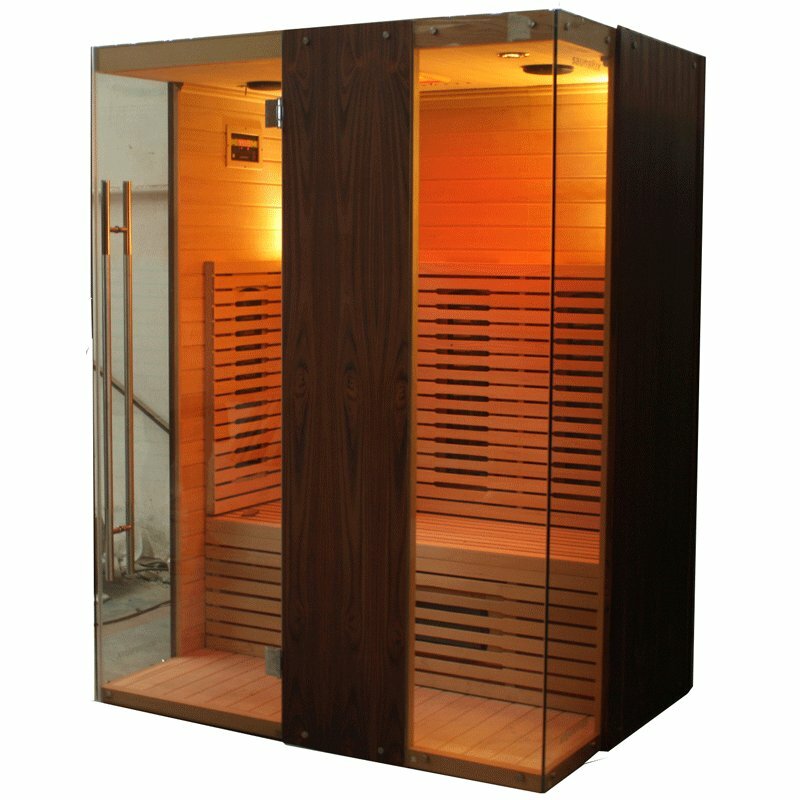 The three person sauna that you see here, model number EAQ-003, is one of our most modern and stylish designs. 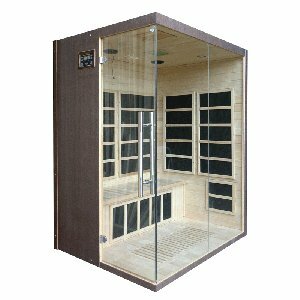 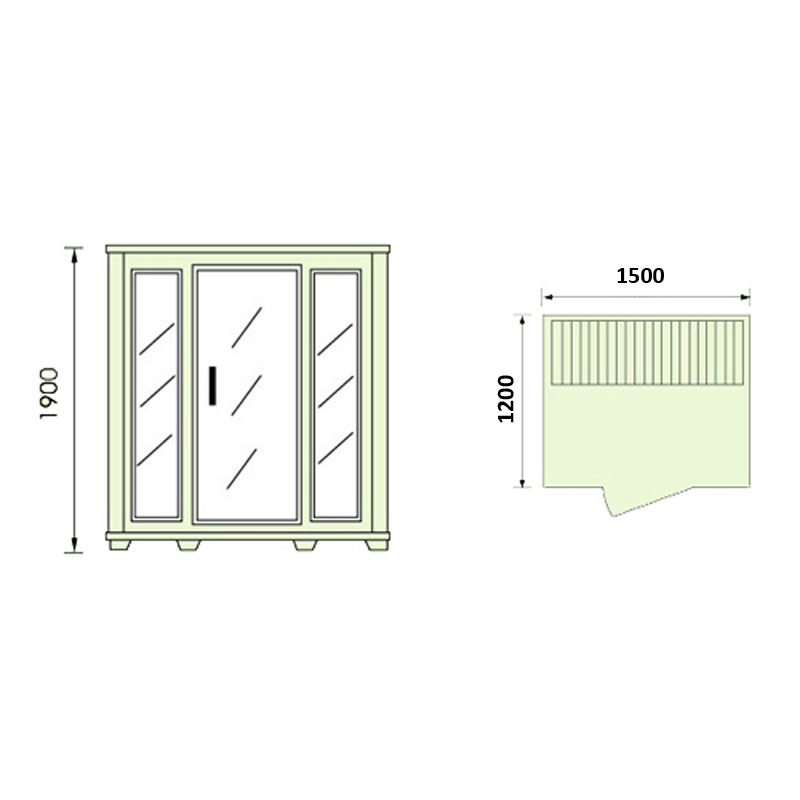 It features full length toughened glass panels which wrap around the sides of the sauna, enabling you to see out easily. 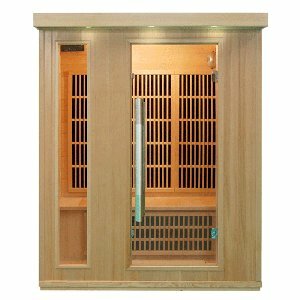 Available to order in either Canadian Hemlock or Red Cedar wood, this sauna also benefits from your choice of ceramic or carbon heaters.